Open Connectivity Foundation (OCF) is making the IoT attainable by establishing the necessary interoperability standard for connected devices - enabling them to discover and communicate with one another, regardless of manufacturer, operating system, chipset or physical transport. The Foundation is unlocking the massive opportunity of the IoT market, accelerating industry innovation and helping developers and businesses create solutions that map to a single open connectivity specification. OCF is creating secure device discovery and connectivity that the IoT market needs to advance through several initiatives, including the writing of the core OCF Interoperability Specification (with its corresponding OCF Security Framework) as well as product certification and testing. What are the objectives of OCF? By delivering a single solution covering interoperability across multiple vertical markets and use cases, OCF’s members are bringing OCF Certified products to the market that can effortlessly communicate. OCF is also helping make the end user’s experience better by seamlessly bridging to other ecosystems and ensuring interoperability with OCF Certified devices regardless of operating system or platform. A complete member listing can be found here. A list of industry partners with whom OCF is collaborating can be found here. Does OCF test and certify IoT products and devices? To ensure device interoperability, security and a solid customer experience, OCF offers OCF, UPnP, and AllJoyn® testing and certification. These certification and testing programs help improve consumer confidence and ultimately reduce product returns to manufacturers’ by ensuring that certified devices comply with the OCF Specifications. Open Connectivity Foundation Certification Testing is available to OCF Gold level members and above, and must be conducted at an OCF approved Authorized Test Lab. A list of OCF Authorized Test Labs is here. What’s the history of Open Connectivity Foundation? In 2014, the Open Interconnect Consortium (OIC) was formed to work on standardizing communication between IoT devices. Late in 2015, with the intent to develop Universal Plug and Play (UPnP) to include IoT devices, the UPnP Forum announced that OIC would acquire its assets. The following year, OIC changed its name into Open Connectivity Foundation (OCF) to help reduce the standards fragmentation in the IoT industry. OCF is building on OIC’s previous work and is developing an IoT communication standard that allows devices to interoperate regardless of form factor, operating system, service provider, transport technology or ecosystem. In 2016, in a continued effort to reduce IoT standards fragmentation, OCF, the sponsor of the IoTivity open source project, and AllSeen Alliance, which provided the AllJoyn® open source IoT framework, announced that the two organizations united under the OCF name and bylaws. This merger advances interoperability between connected devices from both groups, enabling the full operating potential of IoT and representing a significant step towards a connected ecosystem. OCF now sponsors both the IoTivity and AllJoyn® open source projects at The Linux Foundation. Both projects will collaborate to support future versions of the OCF specification in a single IoTivity implementation that combines the best of both technologies into a unified solution. Today, the Open Connectivity Foundation has over 370 innovative member companies and has become one of the largest standards organizations for IoT. OCF members include some of the world’s leading companies that are helping accelerate the development of an interoperability standard and the ability to make IoT a more seamless, secure experience for everyone involved. By delivering a single solution covering interoperability across multiple vertical markets and use cases, OCF members will bring OCF Certified products to the market that can safely communicate. Learn more about our members and industry partners here. What are the vertical markets OCF is targeting? OCF is establishing a single solution that addresses interoperability across multiple vertical markets to ensure that manufacturers and developers have the greatest opportunity to maximize interoperability and increase market share. OCF brings together companies from diverse markets including automotive, consumer electronics, enterprise, healthcare, home automation, industrial and wearables. Currently, OCF is developing initiatives related to Smart Home solutions designed to make the end user’s experience better by seamlessly bridging ecosystems within a user’s smart home and ensuring interoperability with OCF Certified devices. In addition to Smart Home initiatives, OCF remains committed to driving initiatives for the automotive, healthcare and industrial markets. Additionally, there is huge potential for innovation because there are greater data opportunities/broader pool of data that OCF Certified products will be able to share and leverage to create an intelligent connected ecosystem. Here is a sampling of what the OCF members are doing: Runtime and SURE Universal. How is the OCF organized? OCF is a registered non-profit organization governed by a Board of Directors and consisting of several steering committees and active work groups. Under the direction of the Board, the OCF steering committees oversee a number of significant initiatives (refer to the organizational structure). More information about OCF membership levels, benefits, bylaws and IPR policy is available here. In keeping with our open philosophy, any company that is interested in connecting IoT devices and is aligned with our goals of driving a secure, interoperable standard and supporting an open source implementation of that standard is encouraged to join. Why should a company join OCF? One of the biggest challenges facing today’s IoT manufacturers and developers is the lack of a single standard that addresses all the necessary requirements for a truly secure, interoperable solution for IoT devices. OCF’s world-class member companies, as well as organizations involved in OCF, believe that secure and reliable device discovery and connectivity is the foundation that will lead to a stronger, more user-friendly Internet of Things. The members also believe that a common, interoperable approach is essential, and that both a standard and an open source implementation are the best route to enable speedy, scalable deployment. There are numerous benefits of joining OCF, including collaborating with the most brilliant global technology leaders to solve the IoT standards chaos. Foreseeing the end of the IoT standards chaos isn’t easy, but industry collaboration goes a long way in achieving success and continued innovation. There are multiple proposals and forums driving different approaches… but no single solution addresses the majority of key requirements. Join the growing ecosystem that is making the promise of IoT a reality. How do companies join? What are the costs? OCF has several levels of membership offering various levels of participation, influence, and branding. If your company is interested in joining, please visit our join page here, to determine which membership level is right for you. What is the OCF Specification? The OCF Specification is the answer to the unsolved ‘secure interoperability’ challenge. The Specification provides the necessary secure communication framework, a standard model for applications and services to interact with IoT resources, mapping to multiple transports, and bridging to other IoT ecosystems. Is the OCF Specification available? 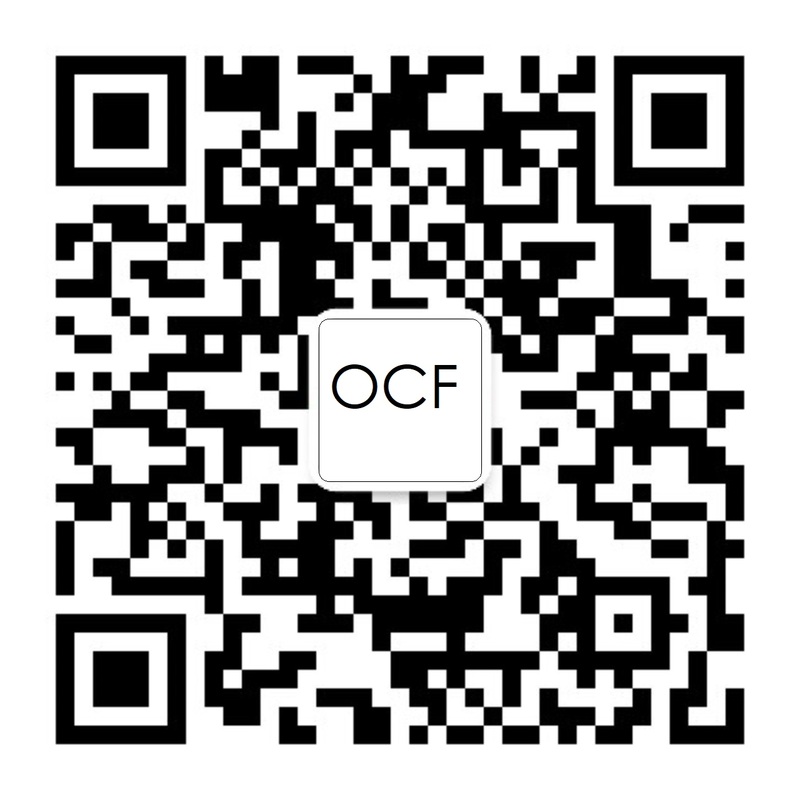 Yes, the OCF Specification can be download here. What is the OCF Security Framework? Because the OCF Specification includes a common security framework to manage device-to-device communication, manufacturers can focus on increasing innovation and expanding their market share without worrying about adding additional security layers. End users can rest assured that OCF Certified products are secure and reliable. Learn more about the OCF Security Framework here. What technology does the OCF Specification support? IoT devices connect using many different operating systems including Android, iOS, Linux, Tizen, and Windows, as well as Real Time Operating systems. OCF Specifications and the IoTivity Open Source Project are allowing interoperability for all types of devices regardless of operating systems. OCF Specifications are agnostic with regard to any wireless or wired technology and will work across technologies including Wi-Fi, Bluetooth, Bluetooth LE, Wi-Fi Direct, ZigBee, Zwave, and Ant+. oneIoTa is an open online tool created by OCF to encourage the design and use of interoperable device data models for the Internet of Things. The oneIoTa tool enables users to create simple models for any Internet of Things device (using RAML and JSON) in a matter of minutes. Using the oneIoTa models, developers can take advantage of OCF’s seamless standardization process to quickly add discovery and control capabilities to devices as they develop. Why is Open Source critical to the success of IoT? The challenge for the IoT ecosystem is to ensure emerging IoT devices can connect securely and reliably to the Internet and to each other. If not, the Internet of Things won’t reach its potential. By adopting an open source and open specification model, OCF is enabling the open source community to quickly create and implement reliable, secure device discovery and connectivity across a broad range of operating systems, platforms, transports and vendors. To ensure the open nature of the OCF project, anyone can download the software, and contribute to the documentation, source code or testing. What are the IoTivity and AllJoyn® Projects? The IoTivity Project is an open source implementation of the OCF Specification. The IoTivity Project brings together the open source community to accelerate the development of a single framework and the services required to securely connect devices. Following the unification of OCF and the AllSeen Alliance, OCF now backs both the IoTivity and AllJoyn® open source projects at The Linux Foundation. Both projects will collaborate to support future versions of the OCF specification in a single IoTivity implementation that combines the best of both technologies into a unified solution. Current devices running on either AllJoyn® or IoTivity solutions will be interoperable and backward-compatible. Companies already developing IoT solutions based on either technology can proceed with the confidence that their products will be compatible with the unified IoT standard that the industry has been asking for. The IoTivity code is available today. You are welcome to download the code and documentation and start contributing to the project here: https://www.iotivity.org/. What is the process for becoming OCF Certified? OCF has a robust certification program available to members. For more information, please visit the OCF Certification page, or contact lab_mgr@openconnectivity.org. If I have a product based on IoTivity or OCF but that is not certified by OCF, can I claim it is compliant or conformant to OCF? No. Usage of the phrases, such as OCF Certified, OCF Conformant, OCF Compliant and so on, are not permissible to be used on or in connection with any non-certified products. For a list of OCF certified devices, please visit: https://openconnectivity.org/certified-products. How do I look for a product that has been OCF certified? All OCF certified products are announced on its product registry at https://openconnectivity.org/certified-products. OCF also has a certification mark that is made available for usage on products once the requirements of achieving certification are met. Any usage of the OCF trademarks without achieving certification will be enforced by OCF.